Keep your wheels and tires looking their best! The McKee’s 37 Wheel & Tire Detail Bag Kit is the perfect addition to your detailing collection. Wheels and tires are often neglected, and that can lead to unsightly damage and costly replacements. A small investment in the McKee’s 37 Wheel & Tire Detail Bag Kit now could potentially save you thousands down the road! This kit contains all the basics for keeping wheels and tires clean, and clean wheels have a lower risk of damage! 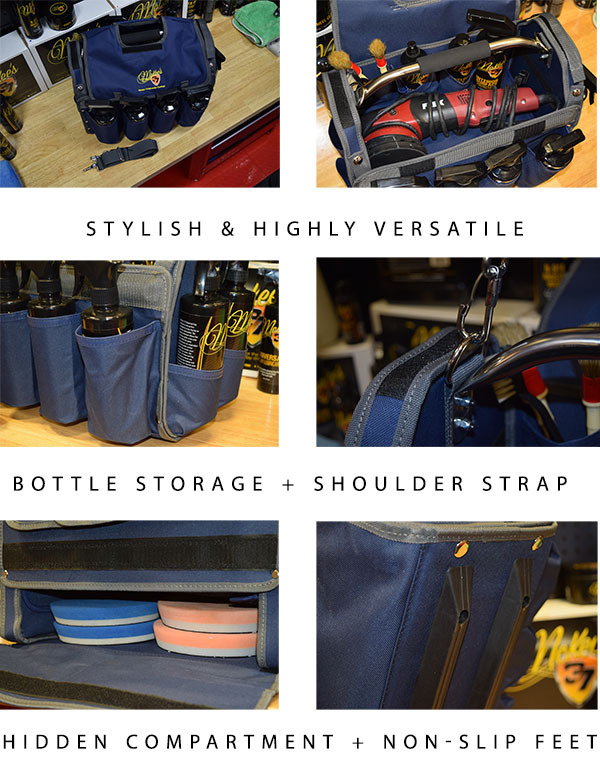 The McKee’s 37 Wheel & Tire Detail Bag Kit includes the incredibly versatile McKee’s 37 Detail Bag to keep all of your favorites organized and close at hand. The Low Profile Scrub Brush features hundreds of stiff nylon bristles that get into the nooks and crannies of your vehicle's textured plastic trim, removing stubborn wax stains and previously applied protectants. The curved handle minimizes fatigue on your hand while enabling maximum scrubbing power. A total retail value of $130.74. You save $30.75!